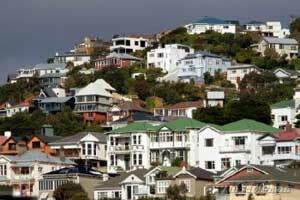 New Zealand property prices are rising. Thanks, but no thanks to Australians who had been patronising real estate in the country, a new research showing Aussies are the top buyers than any other foreigner. Australians took most of the house purchases in New Zealand with a 22% share, while Chinese buyers came in second with 20% and British buyers, third, with 13%, Bank of New Zealand’s chief economist Tony Alexander said in a briefing paper. Gathering information from real estate agents, the BNZ-REINZ survey showed that about 8 to 9 % of home sales came from foreigners. Although no exact numbers were given to show the total number of foreign purchases, government statistics from last month showed a total of 7,714 were sold to foreigners. “If this trend continues with foreigners, if 90,000 houses in New Zealand are sold every year, about 8,000 of those houses will be owned by foreigners,” the BNZ-REIZ study has estimated. Mr. Alexander points out that forms of control or limitations should be in place so that locals will not be bested out by a foreigner who has the cash in acquiring affordable property. “If the housing problem is related to the affordability of homes, special Auckland guidelines or minimum deposit rules will only make it worse for people who are short in cash but want to buy homes,” he explains. The changes, he says should be implemented to get the buyers out of the market which do not deserve to purchase affordable housing. “A law that would make it illegal to make second property purchases is now called for. The law should also ban foreigners from buying affordable homes and force people to sell properties which they do not occupy. Some people own houses in New Zealand but remain unoccupied because they live elsewhere overseas,” Mr. Alexander adds.